Combos at fair prices with t-shirts and longsleeves. Almost a year after the frst post about the new EP, we are very proud to present the release date and cover for it. "Ars Moriendi" will be released on the 31st of Augsut 2018, by renowned cult label Monster Nation. The cover is featured below. The title track feature guest vocals by Leo Stivala (Forsaken). 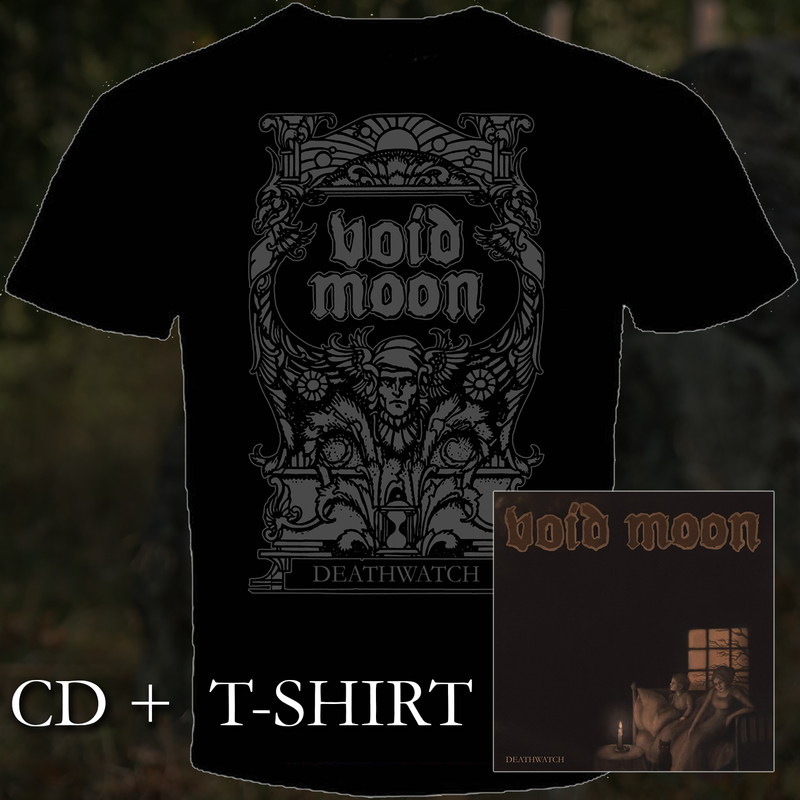 DEATHWATCH is finally available both digitally (bandcamp, itunes, cdbaby etc) and as digipak CD from Sun & Moon Records. The cassette edition will available soon! 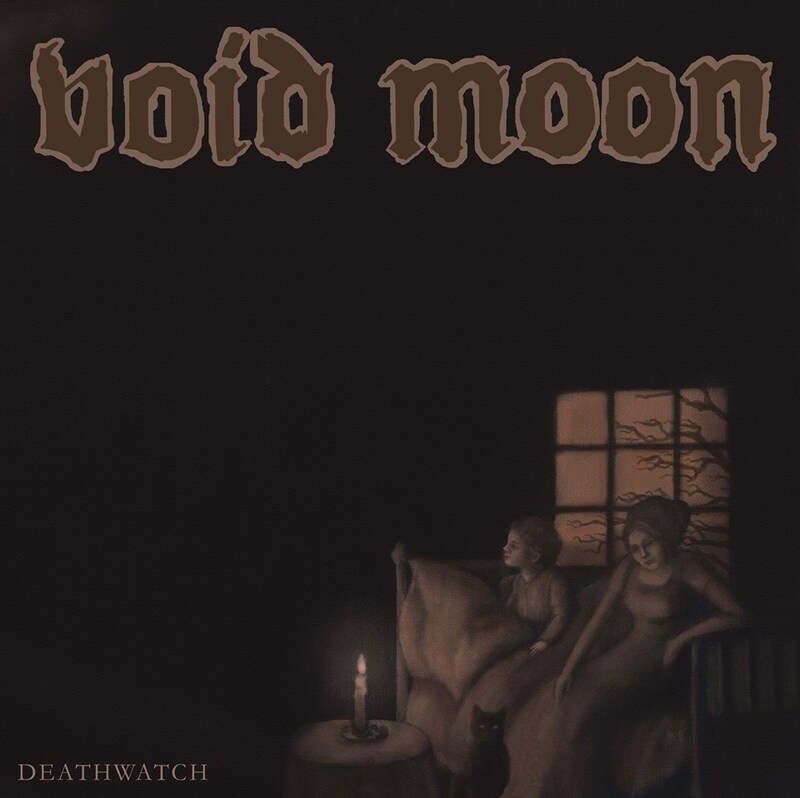 We are proud to announce that our upcoming album, "DEATHWATCH", will be released on Romanian cult label Sun & Moon Records. We are very happy about this collaboration which will see the release of "Deathwatch" in early 2016. The completion of "DEATHWATCH" is drawer nearer and only vocals and mixing are left! 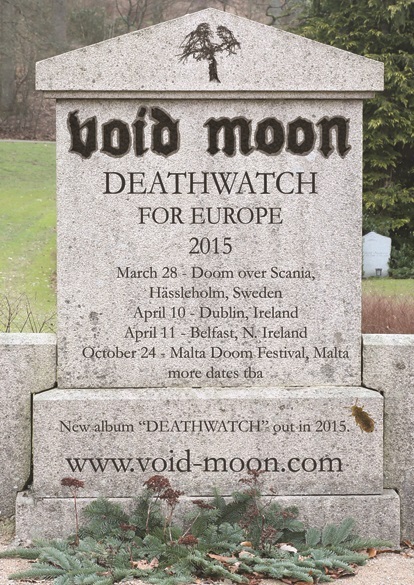 We can announce two new shows for 2016, as a part of DEATHWATCH FOR EUROPE. UP THE HAMMERS Warm-up show and the infamous 2 HEAVY 4 YOU in Sweden. For more info see gigs. We are very proud to announce that John Cobbett of Hammers of Misfortune will do a guest appearance on “Deathwatch”! John will add his guitar wizardry to the opening track “Rivers of the Moon”. Hammers of Misfortune has had a massive impact on the music and evolution of Void Moon and the honor of having John on our record is beyond words. We will play in Belfast on the 11th of April along with Terminus (NI). 2014 has already brought changes to the Void Moon camp, Thomas has decided to leave the band due to conflicting schedules. We wish Thomas all the best for his future endeavors. The vinyl version of "On the Blackest of Nights" is now finally available, check out merch for more info on how to order it! The album has been remastered for vinyl and comes in a gatefold sleeve. 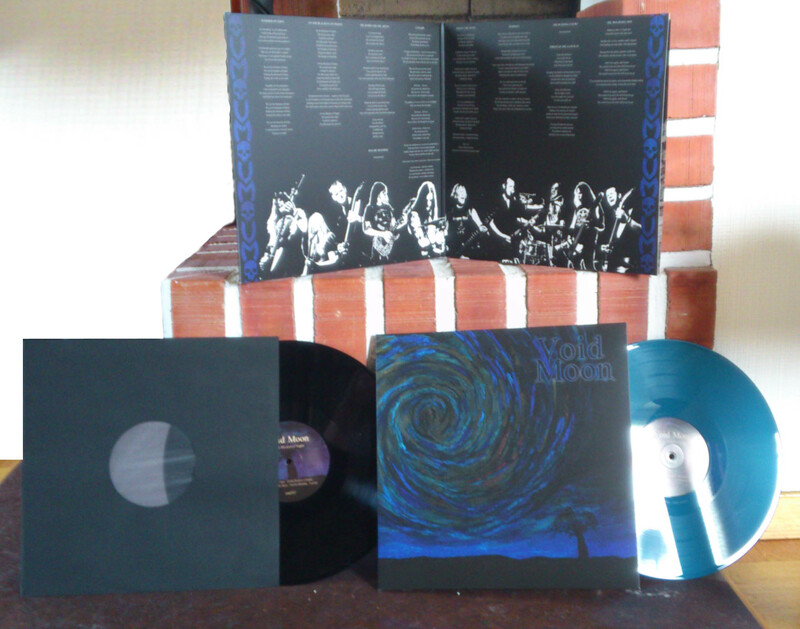 The vinyl is limited to 500 copies, 150 blue vinyl and 350 black vinyl. An exclusive bonus track has been added to the vinyl edition, "Madman". A re-recording of the fan favourtie from "The Mourning Son"-demo. Void Moon is scheduled to perform at the mighty Dutch Doom Days in Rotterdam in October, check out gigs for more info. A live cassette of Void Moon will be released during the spring on BURN records. The tracks are taken from the Malmö gig on the 26th of October 2011. New T-shirts are available, check out merch. 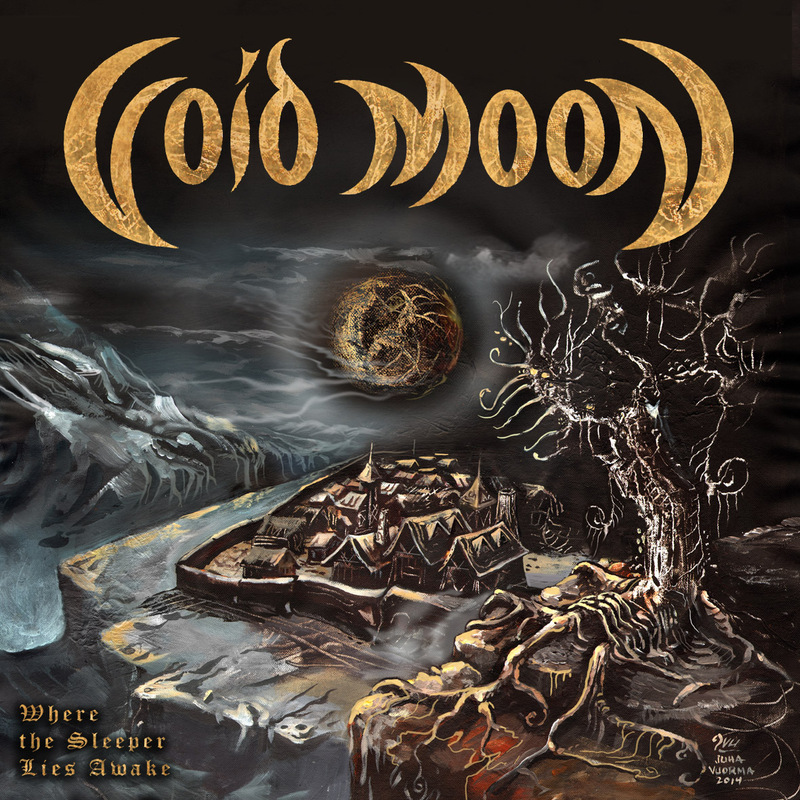 Void Moon is confirmed for METAL MAGIC 6 in Denmark next year, for more info check out gigs. 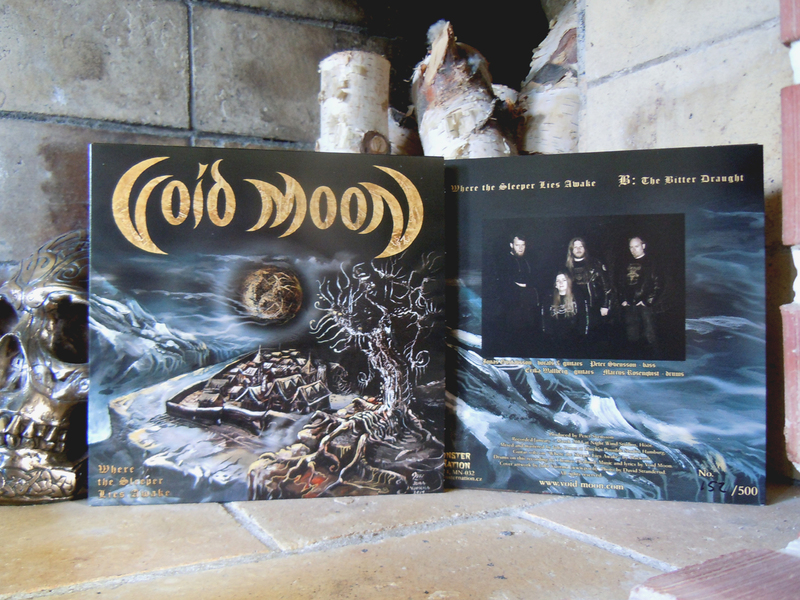 "On the Blackest of Nights" is now released worldwide. Buy your copy at www.cruzdelsurmusic.com or from the band, see merch. Youtube audio clips of all songs are available on the music-page. As well, as lyrics and other info. More reviews will be added soon. Three new reviews of the album, check out reviews. "On the Blackest of Nights" will be released in Europe on the 2nd of November and in America on the 6th of November. We have now begun working on a full-length album, tentatively titled "Psychic Bleeding”. Hopefully we can start recording by the end of this year. 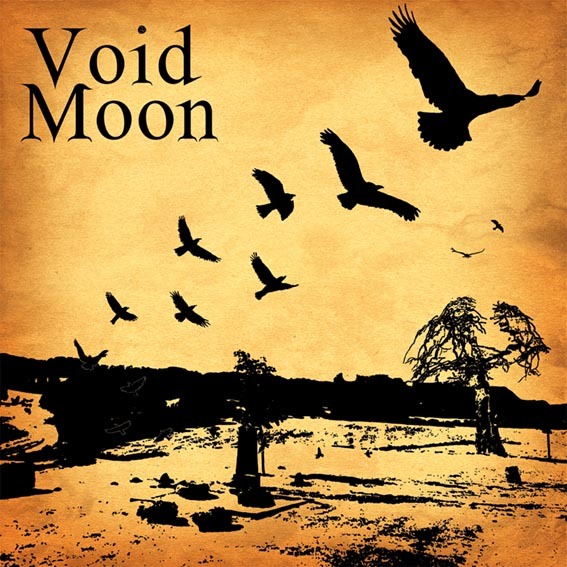 The album will contain 9-12 tracks in the typical vein of Void Moon, i.e. atypical doom metal. More info will come as work progresses. A new gig has been confirmed in Malmö in October, check out gigs. Check out the first reviews of "The Mourning Son" and two new reviews of the previous demo, see reviews. "The Mourning Son" demo is now available for purchase for 1 euro, check out merch. 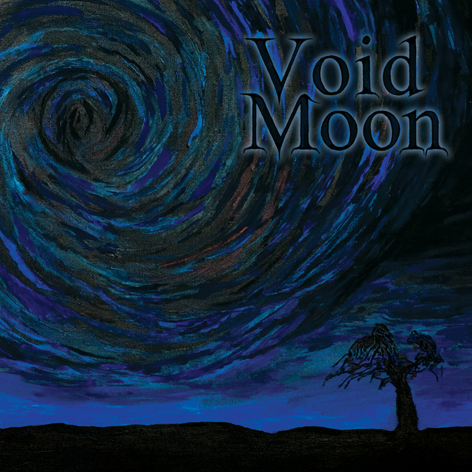 Void Moon is featured in the latest edition of Doom Metal Front Webzine. More info. "The Mourning Son" is finally finished. Initial copies were distributed during KIT but now the finial mix is done! See music for more info. 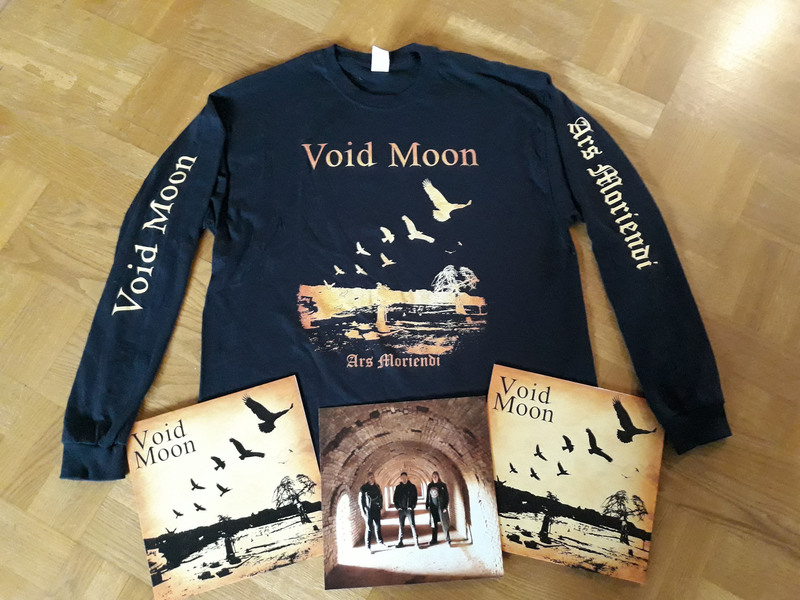 Void Moon will play with Pagan Rites in Gothenburg on the 21st of May, see gigs. Check out the interview with Peter in the latest issue of "Steel for an Age"-fanzine, the track "Akka (Mother)" is included on the sampler. More info. Void Moon is confirmed for the Malta Doom Festival in November 2011. Check out gigs for more info. 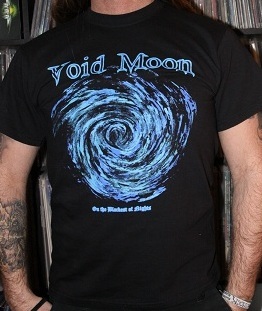 Finally we have Void Moon t-shirts available, check out merch. The "Through the Gateway" 7" is out now on Metalbound Records, check out music and merch.